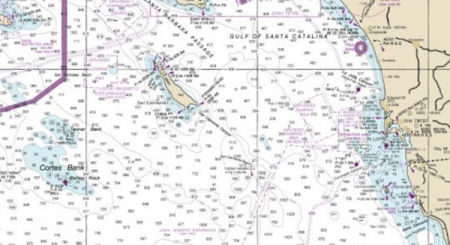 Cortes Bank [Cortez Bank] is a shallow sea mount, barely submerged, about 100 miles west of Point Loma, San Diego and 50 miles south-west of San Clemente Island. The shallowest peak of the bank, Bishop Rock, rises to between 3 and 6 feet from the surface, depending on the tide. 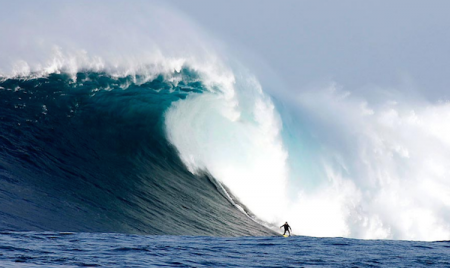 It is famous as an extraordinary surf spot during certain conditions in which waves exceed 60 feet in height.